Ahead of the final Test against England at the Oval, Ajinkya Rahane blamed the Indian batting deparment, who haven't supported the Indian bowling department. Rahane said “We feel bad as our bowlers bowled so well and we as a batting group could not support them while we are an experienced group,” he told reporters on Thursday. “We as a batting group failed. When you are on tour, you work so hard and prepare so well and then when one department performs well it is the responsibility of the other group to back them",as per reported in Hindustan Times. Virat Kohli has been on a different plane. In South Africa he topped the series aggregate with 286 runs at an average of 47.66. He tops the table in England too. Kohli amassed 544 runs at an average of 68. Rahane is the fifth highest scorer in the series so far, having scored 220 runs in eight innings. 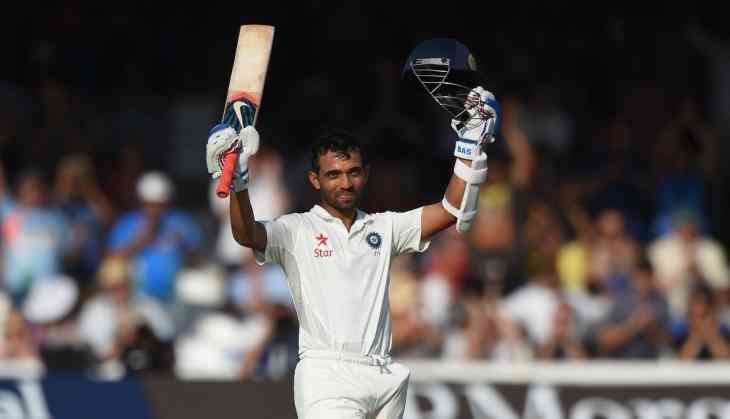 Rahane, stitched a hundred run partnership with captain Virat Kohli in the second innings of Southampton.